EarthCroc Ltd. | EarthCroc Ltd.
Don’t forget, unlike many other chairs out there, the EarthCroc brand is fully fire resistant in accordance with the UK law helping to prevent deaths from toxic materials in unexpected fires. There are numerous executive office chairs on eBay and Amazon being sold illegally in comparison. This entry was posted in Category 1 on 25/11/2015 by EarthCroc Ltd.. The last of the professional series has appeared! Retailing at £260, this model is a sneak preview of what you will be getting. P.S Look out for more secret models to appear before end of November. This entry was posted in Category 1 on 30/10/2015 by EarthCroc Ltd.. The Y-2711-White is yet another favourable product, which is available for pre-order now! This entry was posted in Category 1 on 13/10/2015 by EarthCroc Ltd..
Our second revealed Professional Series, the Y-2711-Red includes 2 branded cushions for maximum comfort. The chair can recline to a 90 degree angle and can take up to 180kg of weight. The chair features high quality fabric. 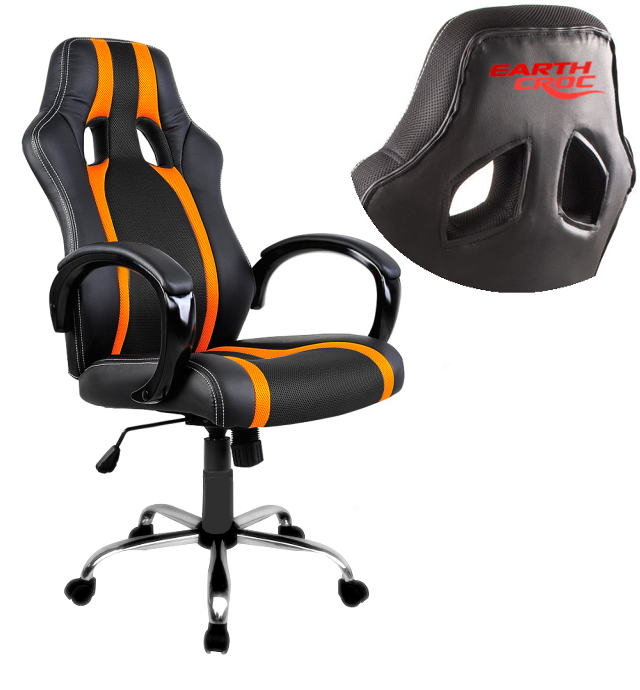 This entry was posted in Category 1 and tagged x-rocker, xrocker on 06/10/2015 by EarthCroc Ltd..
EarthCroc – New Racing Gaming Chairs due November! Our all new Professional Series range is readily available for Pre-Order in the not too distant future. The option to purchase these before they arrive is expected to be available for October. One by one, every week [Saturday] we’ll be revealing a new chair coming to stock mid November. You can pre-order our chairs now. You do not have to purchase now. This entry was posted in Category 1 on 18/09/2015 by EarthCroc Ltd..